Having spent much of the holidays revisiting my favourite video games of the year, as well as playing some new comers, I've finally managed to wrangle them down to a list of just ten, and rank them in some kind of qualitative order. I am crazy? You tell me! 2014 has seen host of great videogame releases across all platforms; some games have shown us new beautiful worlds and innovative gameplay, while others have rendered their universes anew and iterated and refined intelligently. Join Kyle and Matthew as they debate and celebrate the best games to be released in 2014, and award the GameDropZone Game Of The Year. There is nothing more saddening than seeing a potentially great game squandered. Matthew and Kyle recount the games of the year that could have been, and award the www.GameDropZone.com Most Disappointing Game Of 2014. Matthew and Kyle break down the most memorable and well defined characters that have graced videogames in 2014, as part of the GameDropZone Game Of The Year awards. Kyle and Matthew discuss their favourite videogame soundtracks as they decide the www.GameDropZone.com Best Soundtrack Of 2014 award. Join Matthew and Kyle as they weigh in on the hottest looking games of 2014, the first category of the GameDropZone Game Of The Year Awards. Slipping on the well-worn wrist blade and donning my well curled wig, I slip awkwardly into the grey mass of people that appear to be butchering the framerate. Now closing rapidly on my target, I am halted, distracted, by something smelling… off. Kyle drags Matthew, kicking and screaming back into the Hellmouth… Our relentless Guardians undertake some painfully specific tasks to earn Eris' favour and fill Xûr's Urn. In this video, the guys work through all the steps (and drop some hot tips) that are needed to complete the Urn of Sacrifice mission, in Destiny's first expansion, The Dark Below. Hoenn confirmed! Yes the 3rd generation of Pokémon has gotten a re-make after many, many years. Generation 3 is my favourite Generation of Pokémon, I have put over 300 hours into a single play through of Pokémon Sapphire alone and countless playthroughs of Emerald and Ruby. So after a week of waiting since its US release and a week of playtime, it’s time for a review! After countless hours of grinding against Destiny’s matchmaking, Kyle is finally able to show Matthew Skyshock, a Crucible map in Destiny The Dark Below. Skyshock is big, huge in fact, yet strangely familiar. Matthew and Kyle continue to their crusade through the new content of Destiny’s expansion, The Dark Below. As they stalk through the teen-angst dripping corridors of The Cauldron, it soon becomes evident Matthew hasn’t been taking it all in. Oh, and sorry Tumblr. Matthew and Kyle continue to thwart the machinations of Crota in Destiny’s first expansion, The Dark Below. Taking on the Strike Will of Crota, the guys finally corner Omnigul and rather shockingly Kyle is able to keep the conversation on topic long enough to explain why he thinks this is some of the best content in Destiny. The guys detail the heinous crimes that must be inflicted on the many tendrils of Crota in order to unlock the Will of Crota Strike, in Destiny’s The Dark Below Expansion. Don’t worry, it is super informative. Determined to not talk about the new Destiny content, Matthew and Kyle discuss Ubisoft's 2014 woes, how games should be short, and the notion that micro transactions make everything better. The guys spray their way through the third and final story mission of The Dark Below. Kyle and Matthew blast through the PlayStation exclusive Strike in Destiny's The Dark Below expansion. The guys reminisce about a time when social media was good, have a painful announcement about the lack of Pokémon coverage, and examine the often overlooked perks of a 3DS. Matthew and Kyle have hope for the future in the second mission of Destiny's The Dark Below! So gather your fireteam, find a hill and join us as we listen to some reedy classical music and maybe spoil Destiny... A little bit. Destiny's first expansion, The Dark Below has landed, so the guys take a look at Pantheon, one of the three Crucible maps found within. Matthew tells Kyle tales of childhood scooter antics, and they chat plenty about Mass Effect in this train wreck of a video. Also Destiny I guess. Matthew and Kyle drop in to talk about the flurry of news that has happened in the past week including PSX, Metal Gear Online's announcement and other assorted Video Game related things. Survivor Series 2014; a show that has had so little build up to it I didn’t feel that it was worth doing a pre-show write up of the storylines leading from the last pay-per view, Hell in a Cell. Most of the storylines were only finalised in the last week before, or even on the show itself, including the Main Event featuring Team Cena vs. Team Authority whose team members were only finalised on the go home Monday Night Raw show. Review - Super Smash Bros. For Wii U; The Ultimate E-Sport? What if Luigi finally tired of living in his brother's shadow? Who wouldn't want to see Link's shadowy reflection overcome his virtuous side? Imagine if each of Nintendo's finest took it in turns to beat the life out of Sega's Sonic? Well Super Smash Bros. For Wii U will at least let you play out such battles, but you may not see them resolve in quite the way you want. Matthew and Kyle drop into the new planets of Rishi and Yavin 4, added in Star Wars: The Old Republic’s latest expansion, Shadow of Revan. Shadow of Revan is available early for players who pre-ordered before November 2nd, launching for all on December 9th. They may not be wizened Jedi, but they soon learn two great truths; manga is better than anime and the Star Wars universe is pretty dumb. Matthew and Kyle crawl away from their games and back to the microphones for another Dropcast. Is Halo fixed? How good is the new Dragon Age? What happened in the world of wrestling? Listen to find out! The Dragon Age series has assumed many forms; the wide narrative and branching paths of Origins, the trials of ruler ship of the Awakening expansion, and the more focused story of Hawke in Dragon Age II. Dragon Age Inquisition promises a role playing game with scope beyond anything in the series, or that the developer, Bioware has ever produced (excluding Star Wars: The Old Republic naturally). This raises the question of how, or perhaps can, this scale integrate with the focused style of storytelling that Bioware is best known for? It is not quite December yet, but both Sony and Microsoft have announced the free games coming to PlayStation Plus and Xbox Live Gold subscribers. Here’s the full list. Destiny; the game I have played the most disproportionate amount of in recent memory, despite my feelings on its actual value I still keep on shooting. Well maybe the latest update, 1.0.3 will alleviate some of it’s myriad issues, well if nothing else at least we can all grind Iron Banner rep again? Halo, the series that revolutionised the FPS genre on consoles has been remastered! All four games, although Halo 3 and 4 aren't that old, meaning that you can experience all that child like glee of bringing your Xbox to a friends house, sitting on a couch together and enjoying some good old fashioned CTF... Okay maybe not, but with four Halo campaigns to play you won't have time to play any multiplayer anyway! Grab your Exo-suits and buckle up for another Dropcast! Join Matthew and Kyle as they talk about Video Games, their rising fame in Spain and more importantly; how pretty Link is. Fizzco’s latest energy drink, Overdrive – all the kids are drinking it – has had some unexpected consequences, the most dangerous being the OD (Over Dosed) mutants who rove the streets looking for yet more Overdrive to quench their ravenous thirst. Can Sunset Overdrive live up to its impressive announcement trailer? Is it possible to stomach this much videogame humour? Find out inside. In the very words of the venerable Kevin Spacey, “…this is Advanced Warfare”. And to be fair, it gets pretty advanced, even outside of the widely marketed exo suits, there is a metaphoric ton of awesome near-future technology. If that’s not enough for you, here’s why I think Advanced Warfare is well worth seeing. It's November 2014 and you know what that means... Games are finally coming out! Though if you get bored playing your Call of Duty's or your Assassin Creed's you may want to check out some of the free games available this month on Xbox and PlayStation... as long as you are a PS Plus or Xbox Live Gold subscriber. See them after the break! Bayonetta 2 brings the Cereza’s unique brand of hair-based sass to the Wii U, and only to the Wii U, which is bound to leave Bayonetta fans with the arduous task of deciding if this game is worth a whole new system. Let me make that decision for you – she has a Link costume. Done! Well maybe not… But here is why I think Bayonetta 2 should be a system-seller. Fresh from the fair fields of Hyrule, I jump straight into the not-so-dissimilar battles that now rage across feudal Japan. Samurai Warriors 4 is the first entry of its particular strain of Warriors titles on the current generation platforms, and if its Dynasty Warriors cousin is any indication, the Warring States are in for some big changes. WWE Hell in a Cell 2014 is over, being one of WWE's 'B' pay-per-views did it live up to the hype that last minuet booked matches and abysmal storylines? Will it convince over 300,000 people to sign up for the WWE Newtork to see where the new twists and turns lead us? Short answer; No. The long answer is after the break! It’s true I’m afraid; this is my first contact with the Legend of Zelda series, my first adventure in the Kingdom of Hyrule, but it is most certainly not my first foray into the endless battlefields of the Warriors games. Can this game invest myself, and like-minded Koei-Tecmo fans, in Hyrule’s timeless adventures? Or I it just leave me longing for Lu Bu? WWE Hell in a Cell 2014 pay-per-view will come at you live on October 28th from the American Airlines Centre in Dallas, Texas, or if you are a WWE Network Subscriber you can get it for just $9.99 as they seem so keen to remind you every week. It's almost as if they've still not hit their estimated quota and feel the need to spit out "$9.99" so much that it becomes a forced meme... I'm looking at you Michael Cole and JBL! In this new feature for the site I will be doing a pre-show write up of the feuds and rivalries going into each pay-per-view. I'll try to be as unbiased as I can, however with WWE being as ridiculous as it is, that's likely not going to happen. Matthew and Kyle slither their way across the internet and deliver another Dropcast Outta nowhere! Join them as they talk about Halo: The Master Chief Collections 20GB install, Kyle's recent purchase and of course the latest Internet craze: The RKO vines. Having spent about fifteen hours either, clenching most of my muscles in dread-fuelled tension, or cursing vehemently at my TV in frustration, I finally brought Alien: Isolation to a close. My advice for the next time you are tempted to venture into eerily monolithic space stations - leave the medpacks and guns, they wont help you for long, oh and find a way to mute your motion tracker… Or maybe just don’t go in at all? PlayStation exclusive racer Driveclub forgot to slow before hitting the hairpin launch, leaving behind the smell of burning rubber and melting servers… Which are still flaky a week after launch, making finishing this review pretty difficult! Are you a supporter of the US Military? If so, a former decorated member of the Marine Corps needs your support, and his name is... John Cena! 2K has made some big announcements about the WWE 2K15 soundtrack, featuring you're hero and mine; John Cena, fifteen times former World Heavyweight Champion, but more importantly the Doctor of Thuganomics. You can see him right here, or can you? As shadow descends across Mordor and its inhabitant are pressed into servitude, to labour for the Dark Lord until all life flees their body, will you fight to pierce the pall of darkness? Or will you become the very evil you sought to destroy? Just a warning; I discuss some characters and events that occur in the main story, however, I do not believe I mention anything that wasn’t already shown in trailers and honestly, there isn’t any real plot twists or reveals to be spoiled. We delve deep into the skull-ridden GRID OF INFINITY of Pix the Cat, a stylish and feverish arcade game that is free for PS Plus subscribers the month. Don't get fooled by the rainbow skulls like we did - watching a trail of ducklings explode is the worst! This week Destiny is running the new Iron Banner Crucible event; we take a look at the bounties, the gear, my sweet new helmet and discuss some of the reasons why Destiny remains a really bizarre game. Kayto is caught between feelings of vengeance, loss, and a nagging sense that no matter who wins he, and his home of Cera, will lose. Be prepared to jump to warp at a moment’s notice, as the Sunrider story heads to some exciting places and I try my best to describe them without spoiling anything! October is here and what does that mean? Samurai Warriors 4! Although that may be my likely highlight of the coming month, the start of a new month means a ton of games will drop to the low, low price of free. Which some people would argue is more exciting, assuming you subscribe to Xbox Live Gold or PlayStation Plus of course - find a complete list inside. This week the timed event Queen’s Wrath is available in Destiny, meaning a new reputation to grind, a new currency (of sorts) to collect and some new loot ripe for farming. I took a break from wizard hunting and hydra slaying and stepped up to a new challenge; mastering the art of dance. The road to throwing of my shackles of indignation and accepting what Dance Central Spotlight had to offer was a long one, but the reward was sweet (or perhaps sweat). I certainly did not use this as an excuse to listen to objectively awful pop songs for hours on end. The Dropcast is here once again. Join Kyle and Matthew as they talk about Microsoft buying Mojang, The new iPhone 6 and iWatch and Bungie's new IP Destiny and why it's such a let down. So Destiny, the big unknown, the world said to be filled with mystery, wonder, and well worth exploring for years. Well there is wonder, the game’s art is fantastic. There is mystery, they literally tell you nothing. And there is certainly nothing worth exploring for more than a few hours, in fact be prepared to replay those few hours, time and time again, because apparently that’s game content. For the last few days I have been grinding my way through the beautiful locales of Destiny and taking some snaps along the way! I expect my review will be up tomorrow, a symptom of how much I have to say, not how long the game is. Velocity 2X is a kaleidoscopic nova of vivid cel-shaded graphics and striking synthesized beats. During its voyage across star fields and nebulae filled space, Velocity flourished and evolved from a teleporting sci-fi shoot ‘em-up, in its new form; part platformer, part top-down shooter, and all parts stunning. The Dropcast is back and in a much shorter and regular format. Join Kyle and Matthew as they talk about video games, Attack on Titan and the great and glorious leader Kim Jong Un. Tecmo Keoi don't do anything in moderation, the Warriors titles just keep on coming! And here I was worried that we English speaking fans were few and far between; here's a run down on the many Warriors titles of 2014. The world, or perhaps more accurately, the moon is gripped in terror as a cold war arms race between the Socialist Republic and the Imperialists States escalates. You agent, must stop them both. Deus Ex: Human Revolution is the prequel to the first Deus Ex game and the rug that Invisible War is swept under. Showing that a Deus Ex game can still be made and still be successful without making it so simple that it looses all of it's heart and soul. Deus Ex: Invisible War is the squeal to the hit game Deus Ex. The game uses the same, first person, sci-fi, action adventure role-playing features that fans loved in the first game, and introduces a number of new game play and plot elements, like branching story lines. Despite the new features the game is often criticised as the Worst game in the series and is shunned by fans. 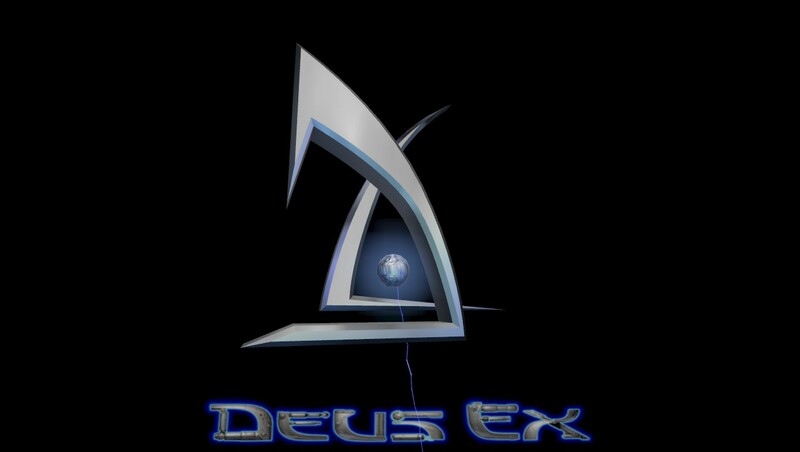 Deus Ex; the game, not the Latin phrase Deus Ex Machina meaning ‘A God from A Machine’. Although it certainly does apply to this game filled with Robots, Mechs and pseudo religious undertones. Striking at a near perfect time – while still deprived of professional wrestling (because WWE Network still isn’t out in my country of residence yet) and as roster announcements hit for WWE 2K15, WWE SuperCard is a fun way to collect colourful pictures of wrestlers on your phablet (I’m sorry). The best part is that it doesn’t have to cost you a penny. Review - Always Sometimes Monsters, but mostly philosophers. Want to experience a taste of the hardships of trying to live when you have no money, one fleeting career prospect and are surrounded by people with their own share of problems and prejudices? Well Always Sometimes Monsters can certainly provide that glimpse, you'll just have to keep an eye out for those people with latent philosophical tendencies. In Dustin' Off we take a look back at some older games; what was good and bad about them back in the day, and why they might still be worth trying out today! This time we revisit Onimusha Warlords, the first, and arguably the best entry in the Onimusha series. Last year The Last of Us infected the PlayStation 3 with deadly effect, now Remastered for the PlayStation 4, it looks prettier and runs smoother than ever before. The fractured world of The Last of Us is a cruel one, twisting and toying with your emotions, as easily as it scars the people who attempt to live in it. Currently deep into reviewing The Last of Us Remastered, I cut myself through the horde of infected long enough to deliver some snippets of the game’s macabre artistry. This was made incredibly easy by the photo mode feature – which coincidentally should be in EVERY GAME EVER. Having extensively played both, the First Look Alpha and the subsequent Beta, I collect my thoughts on how Destiny plays, the murky territory of where it lies within the greater genre-strewn geography, and the expectations and misconceptions inherent with Destiny and it’s messaging. 4PM is an “interactive-thiller”, a (very) short narrative where you are subjected to a day, or at least the eventful parts, of Caroline’s life. She’s an alcoholic – whose favourite beverage has oddly consistent memory-wiping properties. Pixel Piracy the game everybody has a 25% off coupon for has been officialy released with Version 1.0. The game has been on Early Access on Steam for a while but with its official release it looks to add End-Game content as well as a verity of new features since it's last update.